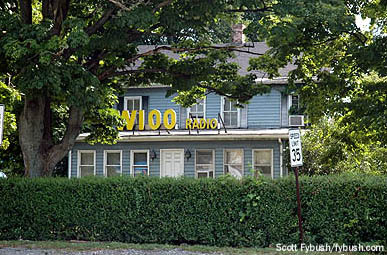 The Bills will move to new signals in other markets, too – in Rochester, they’ll move from Clear Channel’s WHAM (1180) to Entercom’s WCMF (96.5) and WROC (950), with new affiliates possibly also replacing Cumulus’ WSKO in Syracuse, WRIE in Erie and WNBF in Binghamton. Speaking of Clear Channel upstate, there are some schedule changes underway: veteran Rochester talent Pete “The Mayor” Kennedy has landed at WDVI (100.5 the Drive) as its new morning man, months after exiting Entercom’s WBZA. And WHAM’s Bob Lonsberry is once again a two-market talent – after having to give up his KLO morning show in Utah, he’s now doing 3-5 PM on Syracuse’s WSYR (106.9/570), filling the slot long occupied by Jim Reith. Another Syracuse veteran lost his job at the end of the year: Dave Frisina is out of middays at Galaxy’s WTKW/WTKV (“TK99”) and sister station WOUR (96.9 Utica), reports CNYRadio.com. *In MASSACHUSETTS, several broadcasters are starting the year out of work. At WXRV (92.5 Andover), Catie Wilber is no longer PD; the station says budget cuts have eliminated that position. And at Fox’s WFXT (Channel 25), morning co-anchor Kim Carrigan and meteorologist A.J. Burnett are without jobs as of this week, too. Much more next Monday in NERW…and don’t miss our Year in Review editions (part 1 here, part 2 here)! They’re free to all readers until January 9.